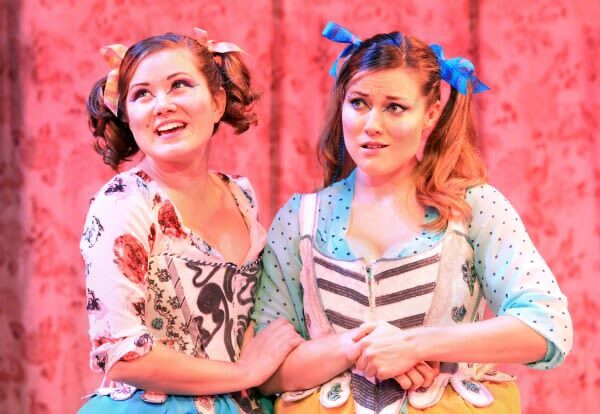 Arts editor Kay Kipling reviews this modern adaptation of the classic French farce. Watching long-established professional actors work their way through the clever but challenging verses of David Ives’ adaptation of Pierre Corneille’s 17th-century farce The Liar would be impressive enough, but it’s even more so to see the second-year MFA students of the FSU/Asolo Conservatory do it in their current production. The wordplay in this “translaptation,” as Ives would call it (since he adapts pretty freely from the original to insert contemporary jests and jibes) is demanding, and it’s matched by a lot of physical comedy in this version, staged by Justin Lucero. There’s no doubt the cast has worked extremely hard to keep up the mad whirl of The Liar, but while they have hours and hours of preparation behind them, the audience just gets to relax and enjoy the final—and funny—result. 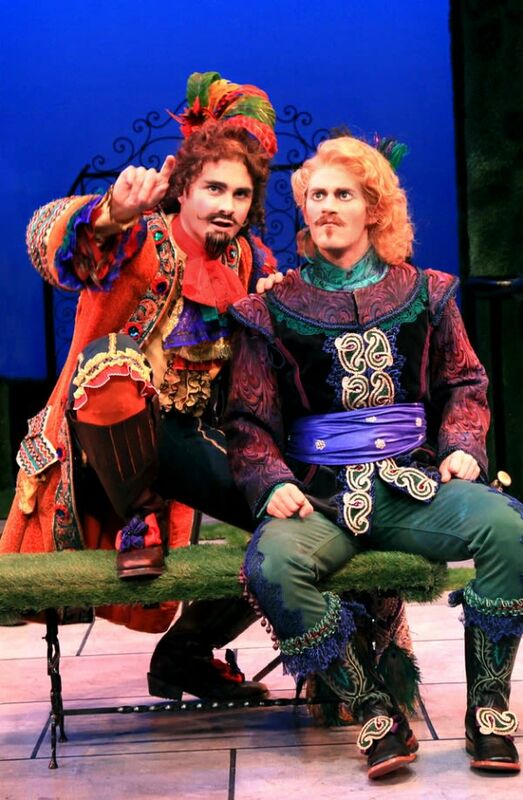 Set in France in 1643, The Liar introduces us to a young man named Dorante (Scott Kuiper), who seems presentable enough (fopped up to the max with a long curly wig, mustache and gaudy clothing) but soon reveals his fatal flaw: He’s just what the play’s title suggests. At first, he may lie just for the fun of it, but inevitably, as his tangled tales get wilder in his efforts to secure the hand of his beloved (there’s a mistaken identify twist involved here, too), and gain the approval of his father (Michael Fisher), he’s going to get caught. Ironically, his new manservant, Cliton (Brandon Maldonado), has just the opposite problem; he can’t tell a lie no matter how hard he tries. So, with the arrival on the scene of the love interests (Kelly Elizabeth Smith and Jessie Taylor), a secret finance (Wyatt McNeil), identical twin servants with very different personalities (Jillian Courtney) and the servants’ admirer Philiste (Brett Mack), the pot, or plot, is sufficiently boiling. I’ll say no more about that, since it’s very, very complicated. But thanks to the cast and their director, the action moves along swiftly and confidently. Ives wrings about every drop of humor he can out of the situations, and his puns and topical references (including some to American presidential candidates, past and present) are played to the hilt, without interfering with the original comedy’s form. Kuiper has the lion’s share of the lines and high-energy movement, and he’s to be applauded for his fluency with both. Smith and Taylor make a cute and coquettish pair of females, Fisher an endearing figure as the easily befuddled father, and Courtney switches convincingly between the roles of servants Isabelle and Sabine. It’s a visual pleasure to watch the action unfold on the set by Chris McVicker, which takes us from the Tuileries to the Place Royale, with lots of greenery and flowers attached. The costumes by Becki Leigh are mostly as colorful and fanciful as the characters and the dialogue, except where intentionally more subdued to be appropriate. You may find yourself just a little exhausted by the time the comedy winds down (with happy endings for all), but the cast never flags. The Liar continues through Jan. 17; for tickets call 351-8000 or go to asolorep.org.